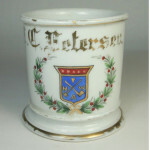 Fraternal Shaving Mug for the Fraternal Order of Eagles with gilt name “Chas. 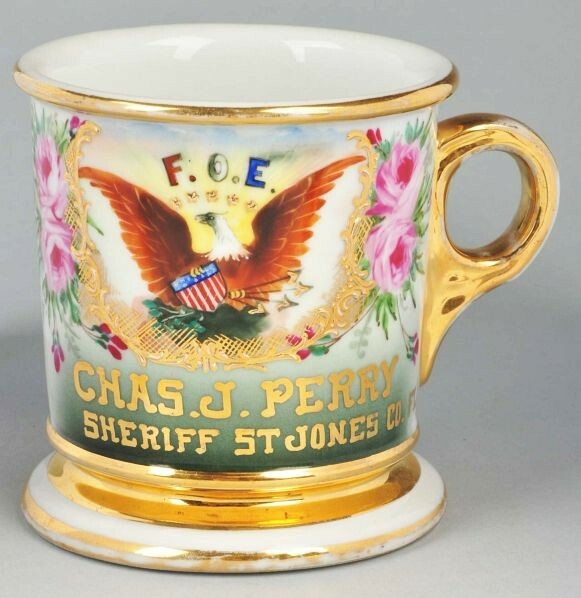 J. Perry” and marked “Sheriff St. Jones Co. Florida”. Very decorative mug with lots of gold and flowers. No mark on bottom. Size 4″ T.